Be mindful that ALL people are entitled to respect because each person was made by God according to a unique plan. All of God’s creatures have a right to RESPECT. 1. 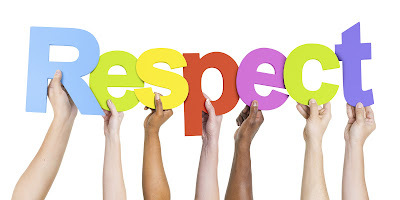 Give EXAMPLES of how Jesus showed respect for all people. 3. How do you feel when someone does not treat you with respect? 5. Make a LIST of how to respect YOURSELF. 6. Make a LIST of ways you respect OTHERS. 7. Make a list of ways you respect the ENVIRONMENT. 9. Create a CLASS MOTTO for RESPECT. Happy 76th Birthday, Trinity School!